I was pretty disappointed with Pirates of the Caribbean: Dead Men Tell No Tales. I had hoped that this would be a return to prominence for the franchise, but it just was not worth the time. 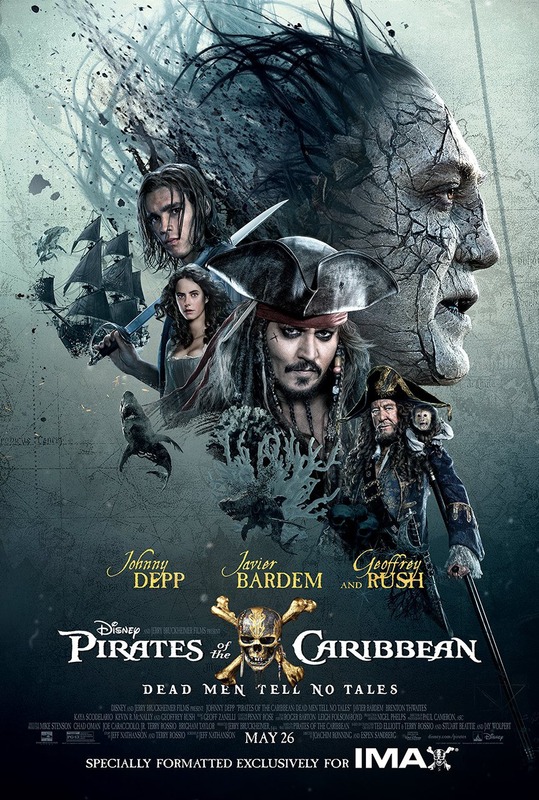 Young Henry (Brenton Thwaites) is in search of the Trident of Poseidon in an attempt to break a curse, but he is confronted by Salazar (Javier Bardem), who had his own search underway for Captain Jack Sparrow (Johnny Depp). On his search for Sparrow, Henry comes across a pretty and intelligent woman Carina (Kaya Scodelario), whom was accused of witchcraft. Then, Captain Barbosa (Geoffrey Rush) gets involved in the search for the macGuffin as well because, you know, reasons. I don’t know if you can tell, but the plot of this movie is needlessly convoluted. There are a bunch of characters who show up that we have little to no connection to or who are there simply to provide a dumb joke for. Even Sir Paul McCartney shows up in a cameo as Uncle Jack. I found about the first two thirds of the new Pirates film to be painfully dull. It also seemed to have some pacing problems considering that the two hour film felt so much longer. There were plenty of scenes that could have been removed since they simply had nothing to do with the over all story (e.g. Jack Sparrow’s shotgun wedding). I will admit that the final act of the movie picked up for me and kind of rescued the film, though the ending did not justify having to sit through the beginning of this. The character of Jack Sparrow is one of the biggest problems with the film. Jack Sparrow is nothing more than a drunken buffoon, who is reduced to slapstick comedic jokes. The cleverness of the character is now gone completely. He is an idiot who just happens to fall into the luck of survival. Jack Sparrow looks to be slipping with age. The humor is less there than in previous installments. I did enjoy the ending of the film, which left me with a more positive attitude toward the film than I had in the beginning and middle. In the early part of the film, I was actually thinking that this was a terrible movie and was considering it as one of the worst of the year. It definitely improved with the third act and the CGI pirate battles. I also liked the story involving Barbosa. Of all of the multiple story pieces, I thought the Barbosa story line paid off the most. Javier Bardem was good, especially in the CGI aspects (loved the flowing hair as if he were underwater), but I don’t think they really did a good job of utilizing the villain. I had held some hope that this new film would recapture the magic of the early Pirates films,as I was a fan of those. The last film of the series was pretty weak, and, unfortunately, the fifth film in the franchise feels much the same. This entry was posted in Doc's Movie Review 2017. Bookmark the permalink.